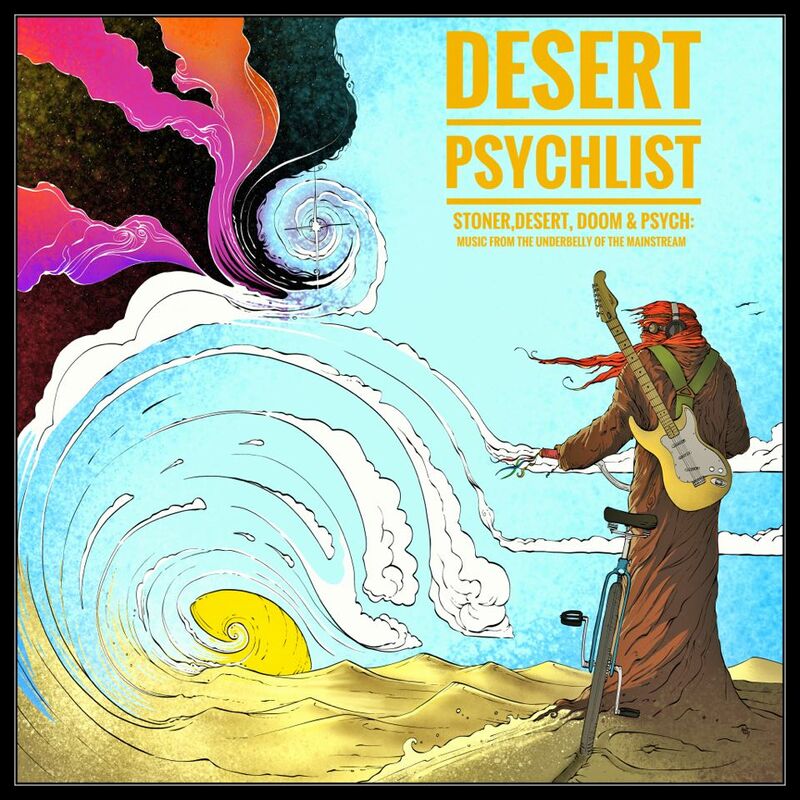 Just out of interest , and a little boredom, Desert Psychlist decided to Google the definition of "heavy in music" the first answer we got was "a type of rock music characterized by a strong beat and amplified instrumental effects, sometimes with violent or nihilistic lyrics". Now that definition does not exactly cover everything we may consider "heavy" these days but it does perfectly nail the sludgy. 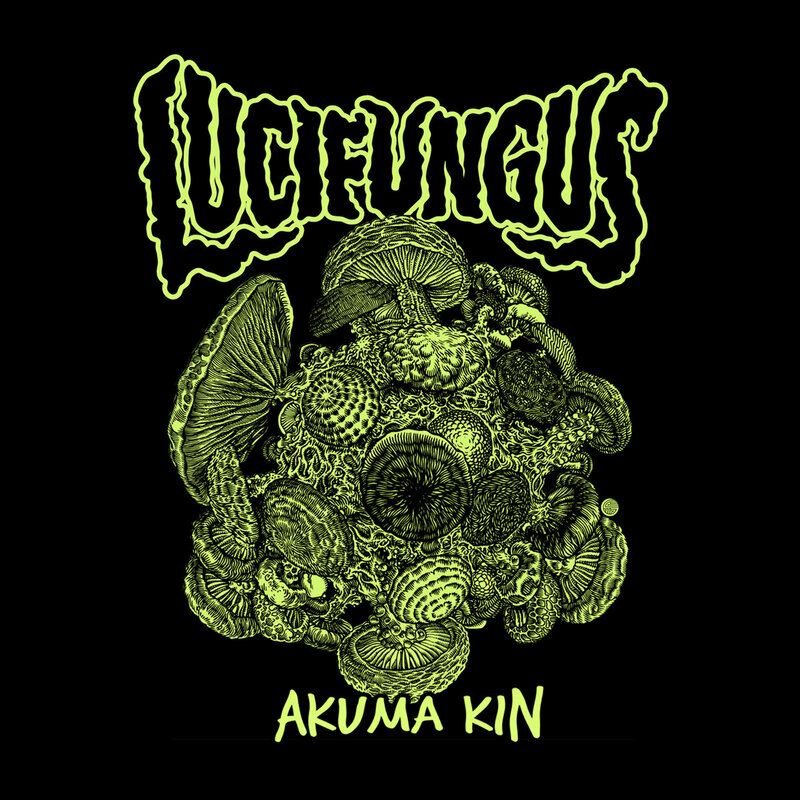 doomic grooves currently being laid upon us by Australian duo Lucifungus on their debut release "Akuma Kin". 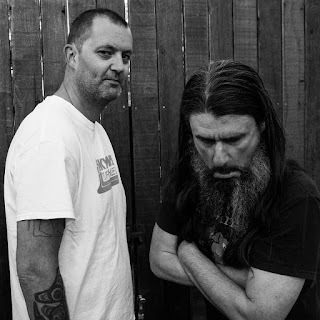 Citing among their influences such icons of heaviness as Electric Wizard, Sleep and the ever present Black Sabbath it should come as no surprise then that the grooves Lucifungus bring to the table are those of a dark, dank nature. Big thick slabs of distorted riffage combined with incessant pummelling percussion is the order of the day throughout the six songs that make up "Akuma Kin" but this is not to say that Lucifungus are another of those bands content to crush their listeners with their non-stop relentlessness (though they do try).There is plenty of light and shade to be found hiding among all the heaviness on "Akuma Kin", those elements of light and shade presenting themselves not in moments of swirling ambience or folky acoustic interludes but in the form of ever shifting dynamics, DD (vocals/guitar and bass) and B Rad (vocals/drums) utilising an array of subtle changes in both time and volume to keep the listeners interest and add elements of both depth and girth to the sonic impact of their tunes. Vocals, throughout "Akuma Kin", are used sparingly and on the most part are shared between the two musicians, gritty clean harmonies that although few and far between nevertheless add an extra level of lyrical authenticity to the thick down tuned dankness of the bands punishingly loud and heavy sludge drenched doomic grooves and certainly add extra credence to that nihilistic element mentioned in Google's definition of "heavy". Two people should not be able to make music this loud, this heavy and this vital but thankfully Lucifungus, somehow, manage to do just that.